I have been trying to find out who originally perched Batman upon a gargoyle atop Gotham City. 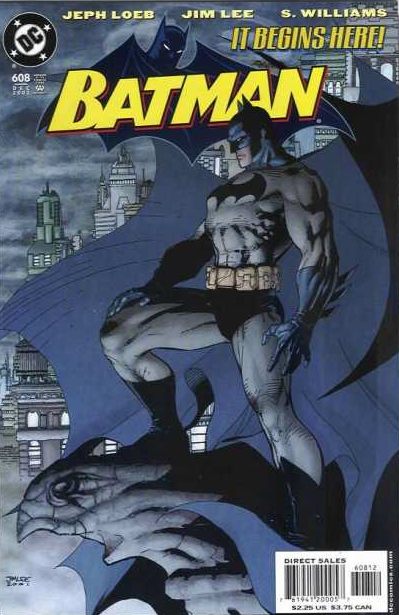 Jim Lee once developed an iconic cover to his Batman book which depicted a confident and stern figure observing his city, as it’s protector. I have placed an image of this below because it provides stark contrast to the image Capullo created above. It captures the mood and desperation of a city under siege in so many ways. The scene is actually set at dusk and the city is bright indicating that the night no longer belongs to the Bat. The colouring of the sky is glorious as night is slowly descending above a golden lit cityscape. The gargoyle upon which Bruce sits, is covered in vegetation and weeds and no longer remains a striking or corporate feature of the city. 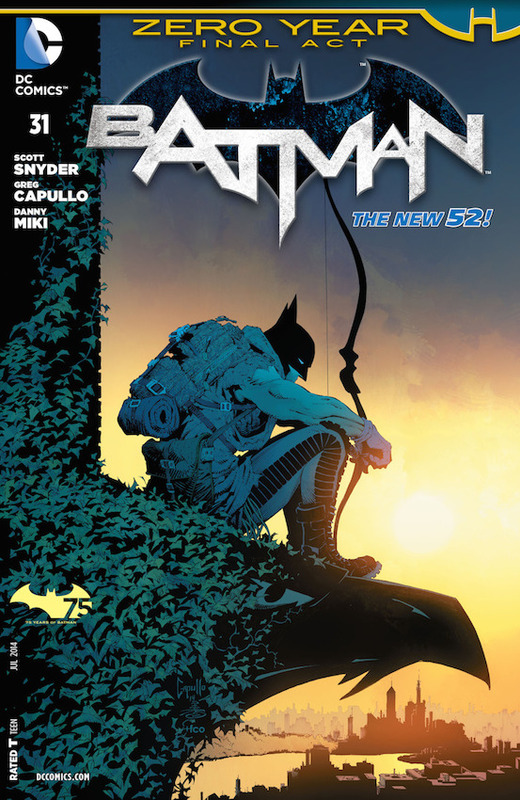 The theme of desperation and isolation resonate through this image and that is even before we get to Batman. The detailing we come to expect from Capullo is as refined as ever, especially around his satchels and what is left of his costume. Greg has always managed to capture the silhouette of his mask more perfectly than anyone, as his nose and ears point with purpose. The slightly shaded colouring is delicately composed given the sun is behind our protagonist. His pose is the most telling aspect of the image because he sits nonchalantly and lethargically. Given that in the image below he was perusing the city for crime, ready to strike at any moment, this hero is not even looking at his home. He is not moving from that spot and is ready for nothing. His clothing and weaponry is rudimentary because he carried a backpack instead of his cowl and a bow as his weapon. This is a man without a home physically and metaphorically, and the city he once ruled is now ruined and he is powerless to help it. It is a beautiful picture and a delightful homage to classic Bat imagery.